Web developer, SEO/internet marketing consultant analyst/programmer, software developer. 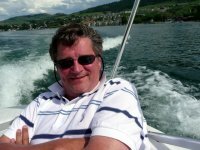 My name is Ingvar Grimsmo and I have been in the tech/marketing game since the early 70’s. I live in Grimsby, Ontario. These days I am busy supporting clients with SEO/Web Design services in addition to supporting and developing custom software. I thought I’d write a narrative of some of my activities instead of a “resume”. Because I have done so many different projects for many clients since I went out on my own. My corporate career include senior sales and marketing positions with 3M, NCR, VTech and Wang. Since 1988 I have been on my own and have completed a myriad of interesting and challenging projects. To illustrate, this is by far the biggest task I have undertaking, and it is on-going. Oxbo International, Byron NY – a manufacturer of specialized farm equipment (harvesters). Back in 2000 I lived in Lynden, WA and was contracted by Korvan which was a manufacturer of harvesters and had a network of dealers. Their challenge was two-fold, they had no warranty tracking system and wanted to implement a detailed time-clock system for the shop floor to track worker efficiency. They could not find anything on the open market meeting their needs. After spending quality time analyzing how things worked, I developed an on-line dealer-warranty system and a shop time-clock system. The worker logs in, and enters a work order and the part he/she is working on. On the back-end a comprehensive data mining system provides summary and detailed reports of the efficiency of the production. It also uses data from the QED manufacturing system to set base-lines. A few years later Oxbo International bought Korvan and decided the systems were of great use to the larger organization so I stayed on and expanded the system. It runs in three locations now and provide detailed data mining of parts efficiencies and dealer warranty records. Last year we started to migrate the timecard and warranty claim systems between three locations to a cloud based, .NET system. This is now nearly complete and running great. Since 1999 I have been active creating, supporting and providing hosting and SEO services for several verticals, in particular lawyers. When I left VTech in May, 1988 I was a National Dealer Marketing Director for their PC business. Those were the days we could wholesale PC’s for 40% margin. The good days. I supported hundreds of dealers all across the country. Learned a few things about managing a dealer network! After VTech I decided to go solo. My first contract was with Warner Lambert (the Listerine people). I was tasked with analyzing needs and spec out a document imaging system for their regulatory department. I completed that assignment successfully in about 8 months. It was about that time I really started to learn programming. Then the opportunity came to move to the U.S. and I ended up in Lowville, NY. Where I set up a custom software development business which started with the Lewis County Sheriff’s department. Initially I designed and developed several law enforcement applications such as call/incident tracking, pistol permits and drug intelligence database. These applications were sold to, and installed to dozens of law enforcement agencies thruout the state of NY and PA. I also developed custom apps for the Water Department, Highway Maintenance and the Fire department in Lewis County, NY. I also was hired by the NY Sheriff’s Association to develop and deliver courses on Computer Crime to every sheriff’s department in NY. After moving to the west coast, I continued giving seminars on computer crime to law enforcement agencies. A manufactures of gaskets for the automobile industry struggled with job scheduling and performance tracking, spending too much manpower manually scheduling the jobs and analyzing yields. I wrote a program that automated the scheduling, captured the time and material and produced management reports. A retailer of propane and fuel products had an old retail management system and wanted a custom one to allow for automatic scheduling of fuel deliveries which took in weather and previous delivery stats. Sort of an AI for the fuel delivery business. Took a while and lots of thinking to figure it out, but worked like a charm. A beer distributor needed a new order/inventory tracking syste. I built them one from scratch to meet their needs. A professional fireworks vendor and show organizer needed a very custom CRM (Customer Relation Management) and order tracking system. A service bureau for the construction industry wanted software to capture bids and other business opportunities to provide to their dealers. This was created in 1999 and still runs their business. A wholesaler for dry-cleaning supplies had a system developed for them, but the developer left them hanging. So I took over and we ended up with a very comprehensive custom system for managing dealers and also a pretty creative map/routing for the delivery trucks. There are a lot more projects. I have developed dozens of high-end websites for lawyers and other verticals. Oh, BTW – I am an active nature photographer as well.